The Technology Innovation Awards celebrates nonprofit organizations that have inventive plans to use technology to tackle the most difficult challenges. Last month on September 18th, three award winners walked out of Tech Forward 2017 with a $10,000 check after they took the stage to share their organization's story and plan. Roger Chappuis took home $10,000 for his organization, Family & Children's Aid. Family & Children's Aid is a community-based non-profit organization that offers innovative and responsive services to heal and support children, families, and individuals in their time of need. The organization has been serving its community since 1809, and is the largest outpatient children’s mental health care provider in Western Connecticut. Family & Children’s Aid serves over 70 cities throughout Connecticut, and provides support to more than 6,000 clients annually, mostly coming from low to moderate income families. To tackle the problem of keeping clients engaged with and coming back for therapy, Family & Children's Aid has designed their facilities to be the coolest around and are often dubbed the "Disney in Danbury". Their Child Guidance Center on their Danbury Campus leaves visitors in awe and children delighted. Most importantly, it brings kids back again and again. Technology is incorporated into their rooms as much as possible and integrated with play therapy. For example, they have a state-of-the-art mock subway station that simulates going into the NYC subway, which is used for incentives for therapy. 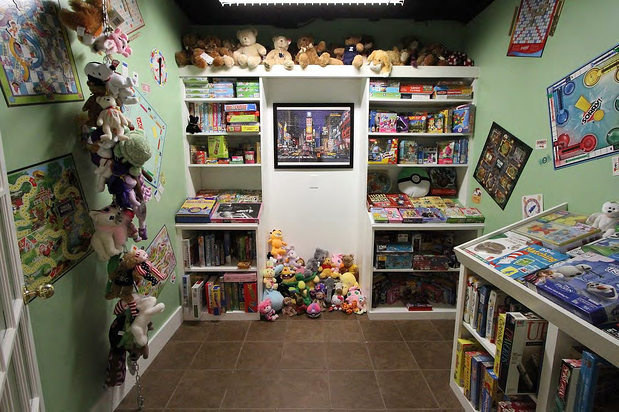 Children are able to earn a “Golden Ticket” and then shop for donated books, toys, games, art supplies and clothing in the mock subway station, Harmony Station. 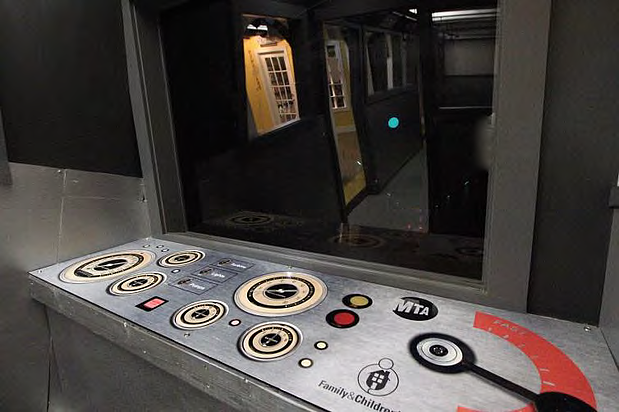 Technology is incorporated into the subway by using motion activated lights and sounds that simulate the noises of a busy train station and a subway car moving. The space Family & Children's Aid has created for children is remarkable - don't just take our word for it, check out their website to learn more about Harmony Station. Family & Children’s Aid's TIA winnings will support the implementing their project: “Therapeutic Technology Tools (Triple T)” to incorporate new and innovative interactive technology in the mock subway station and to create a toy store to help children who have abused, neglected, or traumatized to continue their therapy. 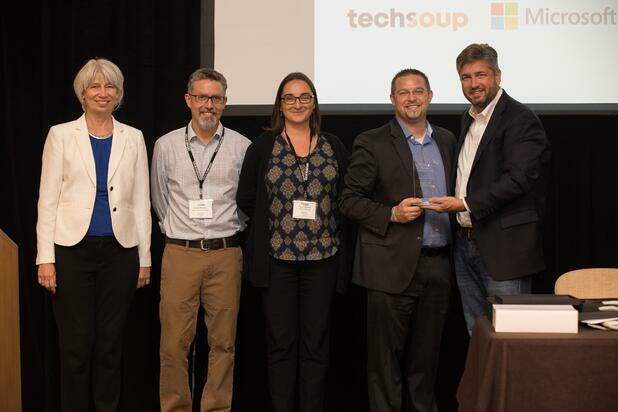 With this award, they will implement new technology in their “shops” changing the whole experience for a child and helping the 6,000 clients they serve from low-income backgrounds. Allison Carballo, Director of Development described the impact this project will have, "This technological innovation will impact our clinical staff, the children who utilize the Child Guidance Center and Harmony Station, their families, and Family & Children’s Aid supporters. Staff will be able to utilize the new technology to work with children in a more interactive manner as they enjoy the updated toy store. This will add to the therapeutic bond between clinicians and children." "It will also add to the child’s enjoyment of the station as their experience becomes more interactive and hands-on. Children will have an additional reason, besides the rewards they earn, to participate in their sessions and do the difficult work of healing since they will have the privilege of using the new equipment. As children experience new and exciting ways to earn incentives, their sense of self-esteem will grow and their interactions with their families will improve." Tech Impact and the Tech Forward Partners applaud Family & Children's Aid for the innovative approach they are taking to improve play therapy for their clients. We wish Family & Children's Aid the best of luck in their endeavors. The TIAs are a great way to showcase and promote the groundbreaking application of tech to mission nonprofit organizations are making. Is your organization working on an innovative idea to further its mission by using technology? Tell us!